Along with cotton, the hosiery industries here uses other fibers to blend with cotton. They market their products both in the local and also export across the globe. It has been exporting the hosiery products for at least more than a century. Ludhiana has at least 99% of small scale industries both registered and unregistered which deals with ready-made garments, textiles and winter hosiery collections. Other than these small scale industries there are number of supporting units which produce packing material, printed labels, buttons, etc as also Spinning, Dyeing and Embroidery units for the hosiery and the knitwear units. History dates back that industrialization in Ludhiana has started nearly 150 years ago when artisans form Kashmir came to this town and started manufacturing woollen products. It is a notable fact that even at that time the Pashmina shawls made by the Kashmiris were exported from here to other European countries. The beginning of the 20th century witnessed a number of hosiery industrial units in Ludhiana with the advent and installation of hosiery machines for knitting socks came up. From then onwards there was no set back in the hosiery and its related units. 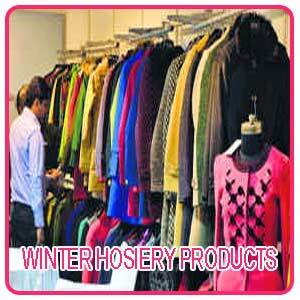 It is hard to name a country in the world to which Ludhiana woollen hosiery products which has not been exported. Apart from the knitwear and hosiery industrial units Ludhiana has number of foundry industries involved in the manufacture of diverse items like Cycle Parts, Machinery, Machine Tools, Sewing Machines, Automobile Parts, Diesel Engines & Generators, Tyres & Tubes, Steel, etc. which paved way for the emergence of Ludhiana as a major Indian Industrial town which exports to different continents of the world. To cater the demand of buyers from all corners of the world for the hosiery products the city is coming up with more and more industrial units and at present there are at least 40000 registered units in Large, Medium & Small Sector including all the fields which is likely to go up substantially. This industrial town has all the facilities required for business like it is connected to different parts of the world both by rail and by air. The domestic market gives major business for they are the main buyers of textile and garment industry's products which does not saturate at all for the income level among India's middle class is going up and fashion conscious young adult consumers are on the increase. The export market of hosiery and related products is about 10% from the total production of Ludhiana. The main export market in the 1980's and 1990's were the former USSR and Middle East whereas now it is extended to other markets in Europe and USA. However with the disintegration of USSR, the Russian market for Ludhiana is closed and hence the hosiery units are looking way to enter into Australia, Latin America and Northern America markets too. Hosiery garments worth about RS. 2000 crores are exported from Ludhiana every year which is a major income both for the state and the country.It was in 1903 that the first unit for hosiery and knitwear were started by importing hand operated machines. At the time of World War II, the Defense forces started giving business for Ludhiana for they required knitwear and hosiery products. Pre -Independence did not witness much growth in these hosiery units for it was only during the period of 1950-1980 there was increase in the production of these products and only after 1980 there was a major diversification in this field. 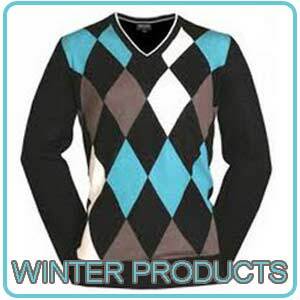 Ludhiana tops the country in woolen and acrylic hosiery and knitwear products for the city contributes at least 95% of the countries woolen knitwear. Though a variety of yarn is used in the manufacture of woolen products by the hosiery industries, the major yarn used is the acrylic. Total installed output of Ludhiana hosiery products is estimated to be around 5000 crores of which nearly Rs 1000 crores worth products are exported. A research among the Ludhiana hosiery entrepreneurs indicates that there is an increase in the requirement for the domestic market for the socio-economic system is changing where even the neo- rich middle class can also afford to spend on high quality consumer durable goods and clothing which increases the opportunity for the knitwear and the hosiery products. The nearly 100 years old hosiery units have grown huge with approximately about 12,000 units spread over massive modern units like Oswal and Shingora to a multitude of cottage, home-based, industries scattered throughout the city. The hosiery industries generate employment opportunities for nearly 400,000 men and women of the city which is further growing rapidly. Though there is no exclusive industrial estate for the hosiery and knitwear units they are spread across widely like the small units are located in residential area around Sunder Nagar,Madhopuri, Brahmpuri, Shivpuri, Purana Bazar, and Bahadur ke road and the medium and large units in the outskirts of Ludhiana in Industrial Area, Focal Point, Chandigarh Road or Jalandhar Road. The best feature of these machines are that they are not manually controlled for it is fully automated by settings and obviously said to win over the traditional Indian machinery. Ludhiana houses more than 12,000 hosiery units which manufacture T-shirts, sweat shirts and winter and semi-winter apparel in the trendiest designs. The hosiery industries of Ludhiana are able to take care of about 95% of the total requirement of woollen hosiery products of the country. The graph of Ludhiana woolen hosiery industries is showing an upward trend with up-gradation of technology and innovation in design and new products. The year 2012-2013 witnessed a growth of nearly 20% in spite of various other drawbacks and also Ludhiana promises to replicate the growth rate in the coming years for the demand from the domestic market is continuously going high. Though there is a slowdown, the hosiery industry is thriving with the introduction of innovative products like home furnishings which include bed covers, bed sheets, pillows and curtains made of hosiery. One of the pioneers in Ludhiana who are into manufacturing of home furnishings in hosiery is Oster Knit's. Nearly 400-500 hosiery machines on an average is being imported from China every month which helps local hosiery manufactures to introduce innovative designs and upgrade their technology. The manufacturers of hosiery products are facing a lot of trouble like the cost of wool has gone up by nearly 30 per cent recently. Also the town is facing an acute labour shortage and if available the cost of labour has gone very highr. The price of the yarn has also gone up tremendously where the woolen yarn costs about Rs 150 per kg and other qualities of yarn used by the industry is hiked by 25-30 per kg. 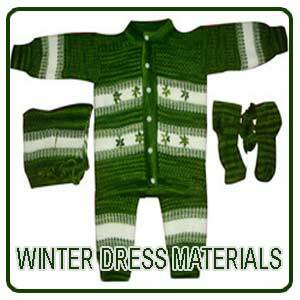 All these factors put together results in an increased rate of the woollen products. But in spite of all these adverse impact the manufacturers are going steady for they still have demand from the local market due to the early arrival of winter in the last few years. However there is a heavy fall or tumble in the export market by at least 16% recently where the main factor being the economic situation across both US and Europe which are the main export market for hosiery. Apart from Punjab's local market the other states which give business to Ludhiana hosiery industries are Haryana, Delhi, Himachal Pradesh, Uttar Pradesh and Jammu and Kashmir. Ludhiana hosiery sector is the country's oldest clusters in the country and it is famous for its winter garments like T-shirts, cardigans in all blends, jogging suits, socks, jersey, gloves, jackets, sweaters, thermals, pullovers, inners, shawls etc. and also grey fabric. The hosiery industry of Ludhiana and its related units have come together to form their own associations so that they can work collectively on the enhancement of the industries like getting various aids and facilities from Government along with required policies and assistance for infrastructure development. There are a number of associations in Ludhiana like Hosiery Industries Association, Ready-made Garment Manufacturers Association, Dyeing Factories Association, Hosiery Welfare Association, Knitwear Club, Wool Club (an Indian association of Woolmark licensees), Ludhiana Weavers Association, North Region Exporters Organization, Textile Colony Small Industries Association, etc. There are also unions and organizations for the employers which are mainly active on fiscal and legal matters with the government. Very rarely these employers' organizations in association with the other support organizations or technical institutions get into activities to upgrade their knowledge and improve their skills in manufacturing. Some of the other drawbacks of these hosiery units are the dyeing units associated with result in causing pollution to the environment leading to health risks to workers, high energy consuming units, discharge untreated effluents; no safe waste disposal practices,etc.